Jay Leno’s Garage is coming back next month with brand new episodes. A six-episode stint will start on January 4. CNBC revealed more about the return of the series in a press release. Check that out below. “Jay is cruising to a new night this January. 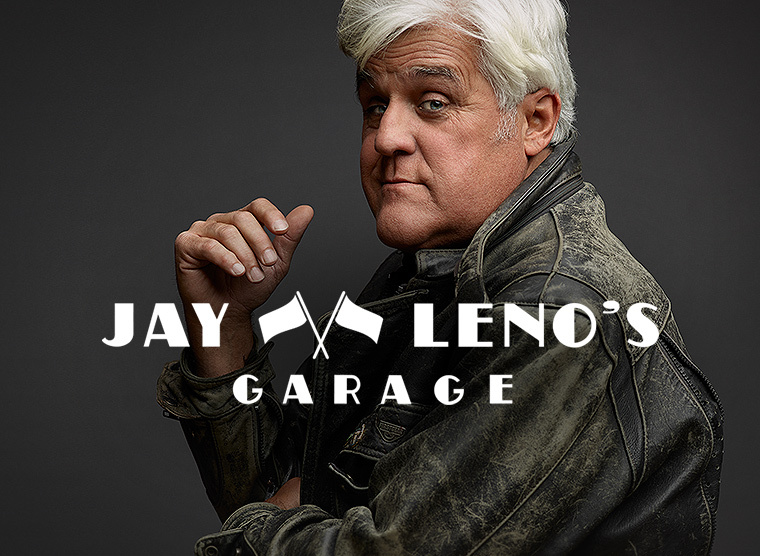 Beginning Thursday, January 4th at 10PM ET/PT, CNBC’s Jay Leno’s Garage returns with more blood-pumping automotive thrills. Six all-new episodes featuring dangerous stunts, top speeds and intense inclines… always guaranteed to be a wild ride! And… he’ll be back with more celebrity guests including Governor Arnold Schwarzenegger. On the January 4th episode, Jay Leno explores the various reasons people may put themselves, and their vehicles, in harm’s way. First, he hangs out with people who like danger just for the thrill, like Travis Pastrana and his action sport collective, Nitro Circus. Next, he meets someone who faces her fears for money: famous stunt driver Debbie Evans. Then, Jay attempts his most dangerous challenge yet… teaching Gilbert Gottfried to drive – in a new Ferrari. Finally, he talks saving lives and specialized vehicles with airport firefighters. Jay Leno’s Garage explores our obsession with all things automotive. From classic cars to supercars and everything in-between, Jay is hitting the road to discover the most exciting, weird and wonderful vehicles ever made and meet the passionate people behind their wheels. Each one-hour themed episode features a mix of stunts, challenges, reviews, and celebrity interviews that showcases the colorful history of the automobile. Whether he’s exploring the story of an iconic brand, road-testing the newest super car, or investigating the latest automotive innovations, there is no wheel Jay won’t get behind to tell the story of our love affair with the car. Check out a preview of the new episodes here. Are you excited for the return of Jay Leno’s Garage? Tell us what you think. jays show is top quality to a car guy like me…go jay! They redo some of the people who he invites for guest on the show…. Tim Allen. Please please please…..He is not funny not even close to being funny! and just looks totally out of place. He’s just a bummer with his horrible in his dialogue. Or is it that that Jay had him have a cooperation let this clown on all the time.